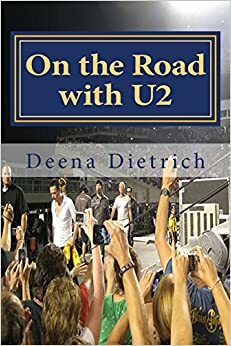 After the fantastic U2 360 show in Chicago on July 5, I rested for a day in the hotel and then headed off to Milwaukee then to the Football Hall of Fame and then to my parents’ home in Maryland to rest for a few days before the final journey on my U2 360 tour across America. I loved, loved, loved Milwaukee and would move there if it didn’t snow from November through March – not a fan of winter. The Football Hall of Fame was as good as I expected, and it’s great to be at my parents’ house relaxing for a few days. I left Chicago Thursday morning July 6th for the 90 minute drive to Milwauke. Luckily the fabulous Aloft hotel let us check in at 11:30am. I left the dogs in the room, put my sneakers on and walked through Milwaukee. I walked through the old historic German district to get to my first destination – Bronz Fonz. My whole reason for visiting Milwaukee was to see the Fonzie statue. Happy Days is my favorite show and took place in Milwaukee, although it wasn’t actually filmed there. Fonzie is on the Riverwalk along the Milwaukee River across from the Rock Bottom Brewery. 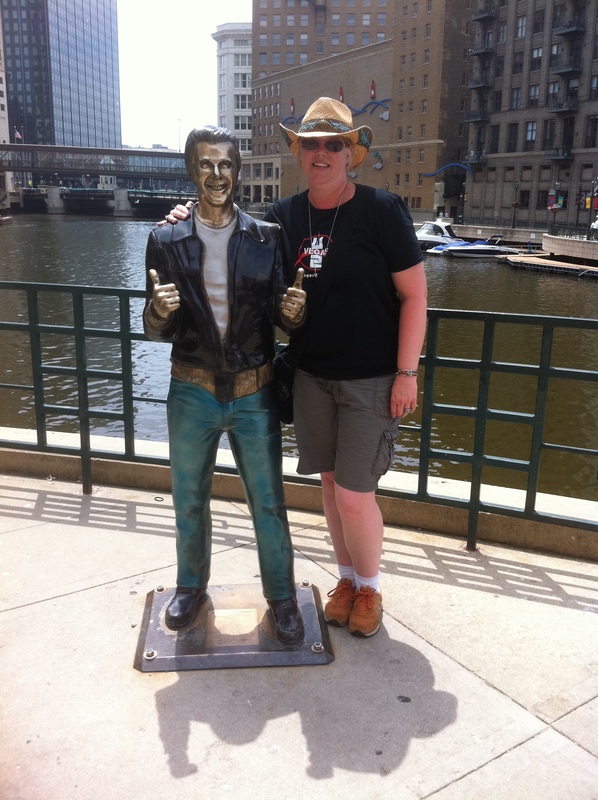 After admiring Bronz Fonz, I talked with a local who told me all about Milwaukee. 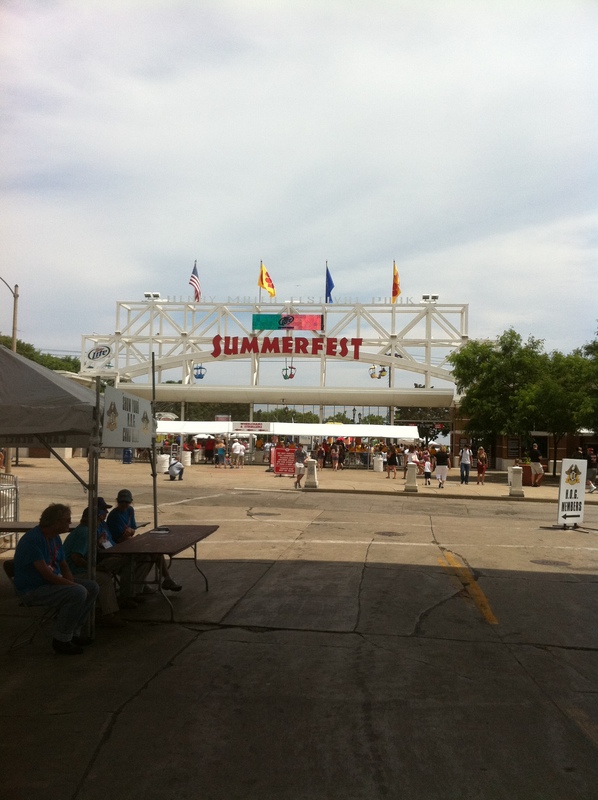 Then I walked about a mile to Summerfest, which is the largest festival in the world. It is 11 days and at least 5 stages. The entire festival is on concrete, so no mud. There is lots of vendors with food, drink, clothes, jewelry, etc. It was really great – actually as much of a fair as a music festival. I was there early, so I saw some of the unknown bands but they were very good. I saw Alison Scott from Minneapolis and this great band from Milwaukee, who I didn’t catch their name – listen to them in my video. I started my mile and a half walk back to the hotel after a few hours walking around Summerfest. I stopped by the Milwaukee Public Market, walked along the Milwaukee River on the Riverwalk and stopped at the Cheese Mart to get dinner. I really love Milwaukee. It still has the old architecture – not all modern buildings. It isn’t crazy crowded with traffic or pedestrians like Chicago. It is a clean city and the people are very nice. I just had a really great feeling there, like it was home. A feeling I’ve only had on this trip when I was in Palm Springs – similar feeling to what I have when I’m in Memphis and Maryland – home. 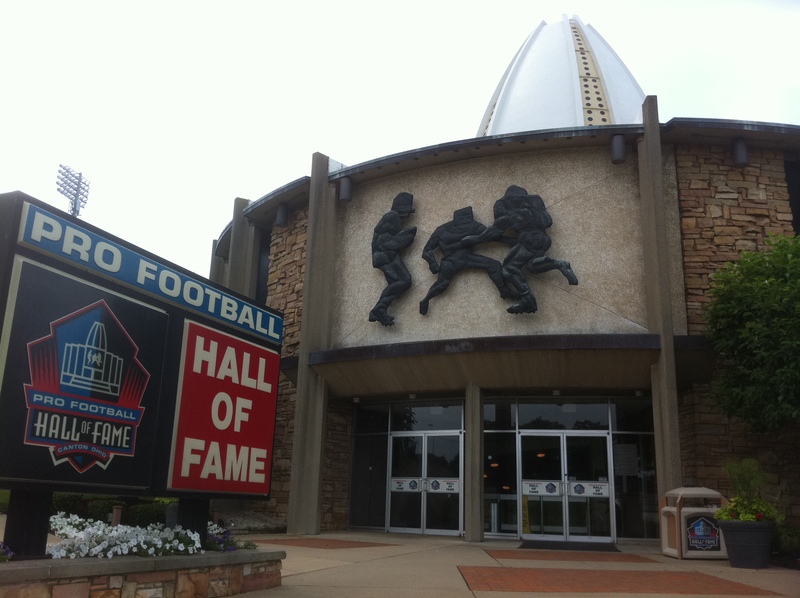 The next day I left for Canton, OH to visit the Pro Football Hall of Fame. I had to drive back through Chicago on my 8 hour drive from Milwaukee to Canton. I arrived at the Hall of Fame just after 3:30. Since it wasn’t hot, I parked the car in the shade and left the dogs in the car while I toured the museum. They were fine as I was only in the Hall of Fame for about an hour because I was really only interested in the Denver Broncos stuff. 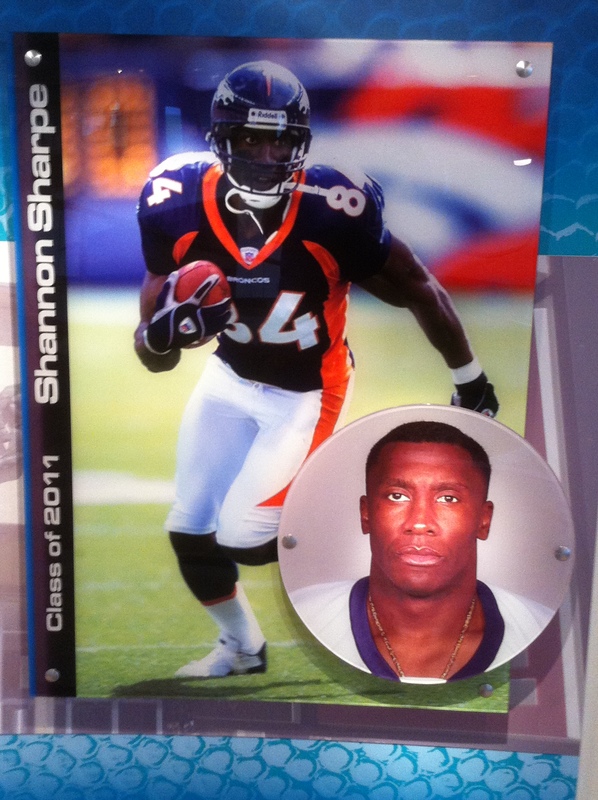 The first thing I saw when I walked in was a giant photo of Shannon Sharpe because he is finally being inducted into the Football Hall of Fame this year! They also had Shannon’s shoes with ‘Big Play Shay #84’ printed on the tongue and a plaque about Shannon being the #1 Tightend. My other favorite player John Elway was inducted 7 years ago. 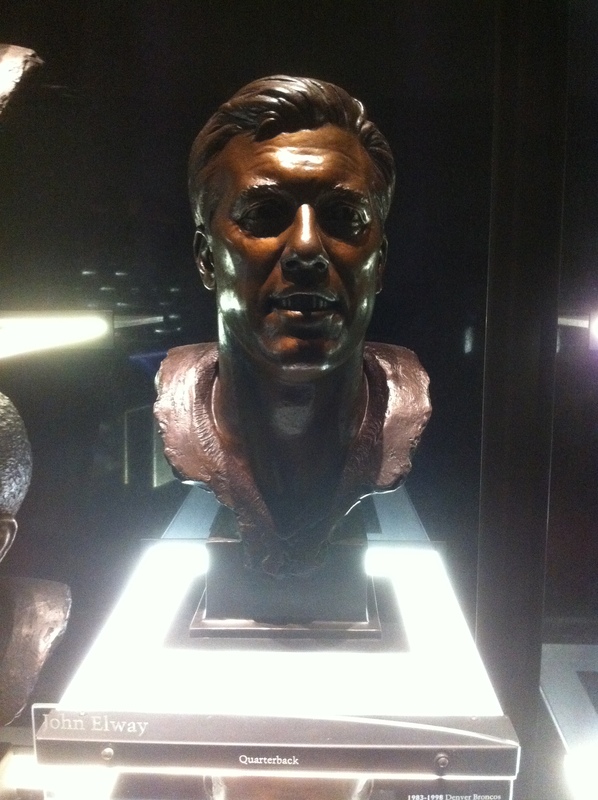 There was plenty about Elway in the Hall of Fame including a display about ‘The Drive,’ a football commemorating his 50,000 yards passing, a replica of his locker and of course he bronze head for the enshrinement with plaque about his achievements. The next morning, July 9, I left early for Maryland. I arrived at my parents’ house in Ellicott City at noon, but first I stopped at Ledo’s for the best pizza in the world! I’m going to stay here and relax until Wednesday morning when I leave for Philadelphia for the last leg of my U2 360 tour across America. I have 5 more U2 shows in Philadelphia, St. Louis, New Jersey, Minneapolis and Pittsburgh. I won’t be doing any sight seeing though, just driving back and forth to the concerts. I wonder if any of these last 5 shows will top Chicago or if Larry will finally come out to greet the fans? Either way, it’s going to be a great last 2 weeks of my U2 360 tour across America. As a local, this was cool to read and watch a visitors perspective of Milwaukee. So pleased you enjoyed your visit. Come for a visit any time you like. 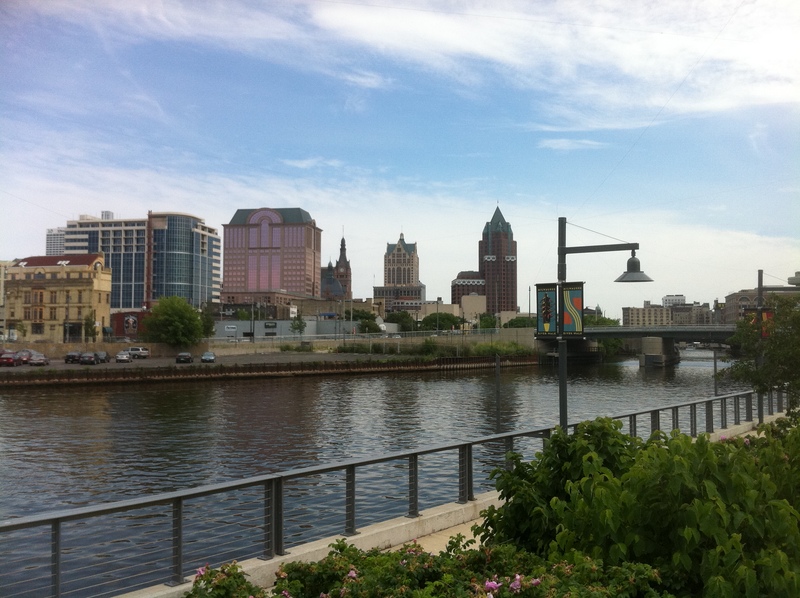 There is so much to do in Milwaukee, so much to see. And so much more on the way. Thanks for reading? Glad you enjoyed it. Yes I really loved Milwaukee. Would love to get back. Considering moving there but don’t think I could take the winters.